The Coastal Resources of Maine facility in Hampden, Maine, processes municipal solid waste for MRC member communities and others using Fiberight proprietary, state-of-the-art biotechnology to turn MSW into recyclables, bio-fuels, cellulose/pulp and fuel briquettes. The MRC has been working with Fiberight since 2013, when Fiberight provided a detailed response to the MRC’s Request for Expressions of Interest. The MRC Board of Directors approved a development agreement with Fiberight in 2015 after extensive financial and engineering analysis of the proposal, including a peer review of its technology performed by the University of Maine Engineering Department. MRC owns the land on which the facility sits and leases the property to Coastal Resources of Maine, LLC (Coastal is a subsidiary of Fiberight). MRC has all the rights of a landlord over its tenant consistent with the terms of the Site Lease. The $70 million privately-funded facility includes a three acre building that houses a front-end MRF (materials recovery facility) and wet-end wash, pulping and anaerobic digestion systems that allow the facility to produce a wide range of bio-based manufacturing and energy products. Coastal’s MRF is the most advanced facility of its kind in the country. Designed and installed by CP Manufacturing Group, an industry leader in waste handling technology, the Coastal plant incorporates cutting-edge technology making it the “Mercedes-Benz” of MRFs. Municipal Solid Waste is delivered. What’s left after sorting is pulped and converted. These liquid sugars may either be processed into biogas by our anaerobic digester or fermented into biofuels. Waste Water is handled on site and re-used in our process. Once renewable fuel production is complete, a digestate fiber is available for compost or to be pelletized for energy recovery. 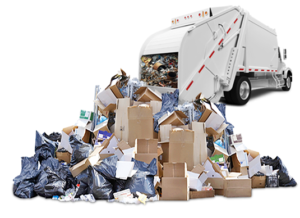 Recycling with Fiberight insures mainstream recyclables like paper, plastic and metal, inadvertently tossed in the trash are recovered rather than buried in a landfill. As a leading edge clean technology company, our team focuses on transforming municipal solid waste (MSW) into green energy products by recovering everyday recyclable materials and converting what’s left into products such as biogas and biofuel. 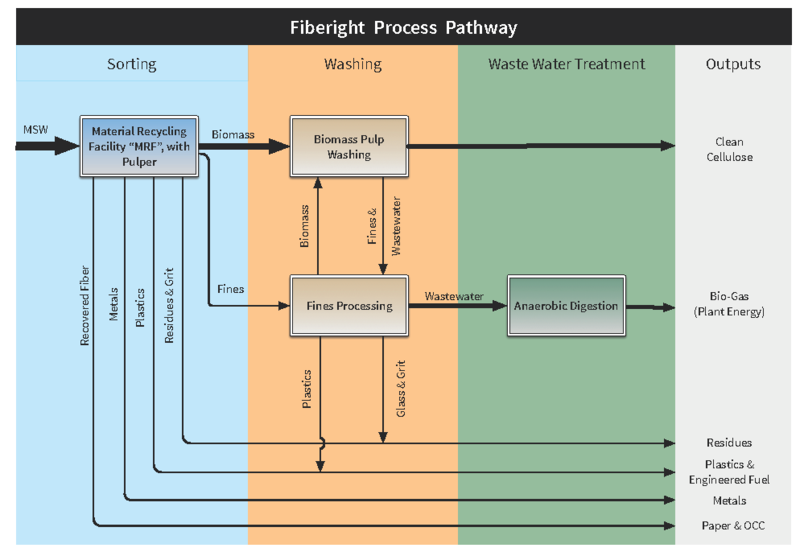 Fiberight is one of the first companies in the US to have shown, at scale, that your trash is a resource. Our Hampden, Maine project will change the way Maine deals with its trash.